Safety wasn’t always the primary thing that came to mind when the first football—the U.S. or UK type—or cricket, or even baseball games were played. Personal protective equipment is required nowadays to protect athletes who are often put in the way of danger while playing their beloved sports. Face shields and mouthguards for baseball and other sports are available thanks to innovators. Nothing motivates gear creators more than the prospect of preventing injuries to an athlete, which can be caused by a ball going 105 miles per hour straight to their face. That particular example derives from baseball, where mouthguards and facemasks are a standard. A study in 2010 showed that facemasks reduced post-impact peak acceleration of balls that hit catchers, the severity of head injury criterion, and risk of facial injury. The most easily recognized origin of helmets and various other headgear in sports lies with gridiron football. The earliest version of the sport, the type that is seen in the first college football game between Princeton and Rutgers, didn’t have any sort of protection like English rugby games. Army navy games in 1893 bore the first mention of helmets in a football game. Since then, sports gear makers made strides in improving the helmet’s injury preventative features and capabilities. The modern helmet evolved from leather straps and moleskin to synthetic makes with vinyl pads and various shock absorbing materials. American football, cycling, ice hockey, and European football have benefited immensely from helmets. 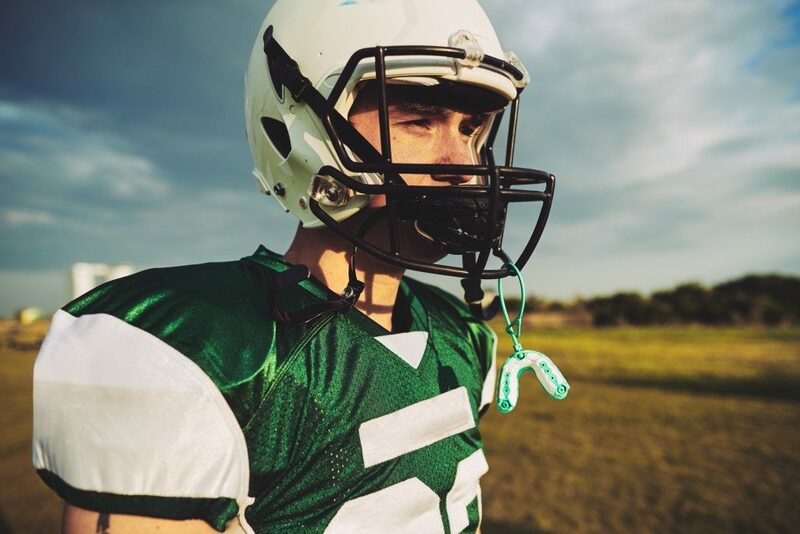 Gridiron players experience fewer concussions with modern designs. European football players were 2.6 times more likely to sustain concussions if they did not wear headgear. Helmets also helped reduce the number of head injuries in cyclist crashes involving motor vehicles by up to 74 percent. Athletic shoes are more than just must-have fashion items for the young and trendy. Recorded evidence showed that plimsolls or rubber-soled shoes were invented in 1800 for traction. A famous shoe company later innovated in 1925 with spiked shoes for runners, another brand followed with their own range of running shoes for various distances. Performance basketball shoes came out as early as 1917. These shoes weren’t made for just style. Spiked shoes helped runners gain traction on any surface, rubber shoes did the same, and the iconic squeak of basketball shoes is emblematic of their grip and shock absorption inside the shoe. Proper fitting shoes also protect the ankles from unnecessary strain. Football players on the field are defined by their domed heads and hulking shoulders. The invention of shoulder pads was credited to Princeton student L.P. Smock in 1877, nearly a decade after their loss to Rutgers. Jerseys were sewn with leather and wool and it wasn’t until the turn of the century that the harnessed version used today was introduced. Shoulder pads are now made of shock absorbing materials with hard plastic coverings. 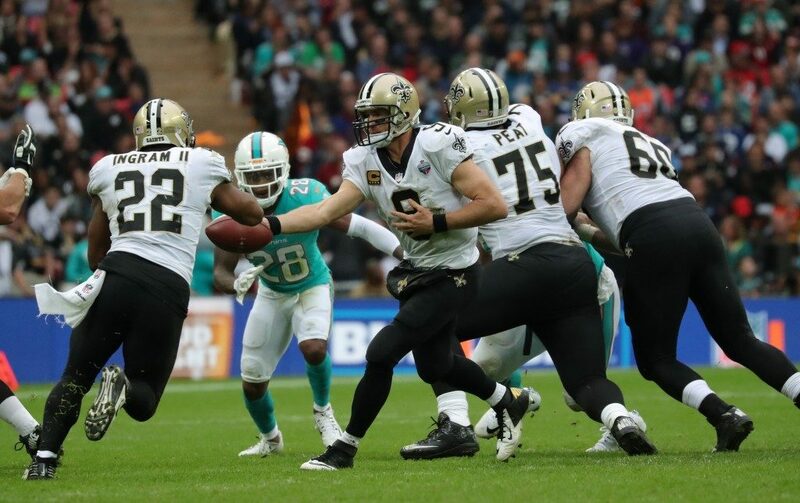 Shock absorption is, perhaps, the point of shoulder pads—without them, players face the problem of taking the full force of a tackle by 250-pound people to their shoulders, chest, and upper back. Their use is not restricted to American football, as they can be found in hockey, lacrosse, and Canadian football. In ice hockey, head, face, and eye full-face shields significantly reduced injuries. Evidence also suggests that visors and full-face shields help reduce recovery time from concussions. And like in baseball, protective gear reduces lower post-impact peak acceleration. Protective gear isn’t enough to prevent injuries among athletes. Aggression is inevitable in competitive sports, but a protective and responsible behavior can be encouraged. In the meantime, gear with better protective capabilities and preventative elements against concussions continue to be researched and implemented.